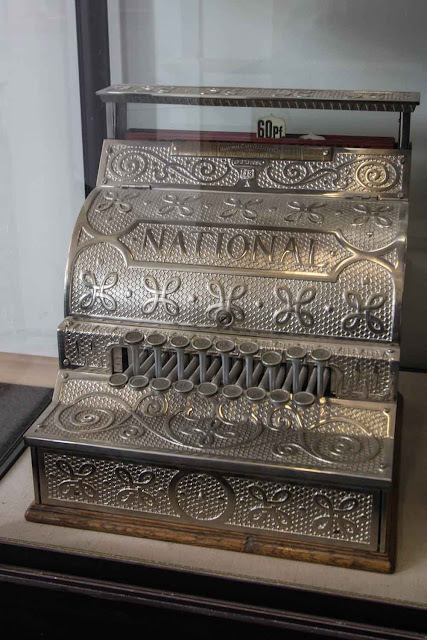 Old National cash registers are found in museums everywhere. Their ornamental structure has something intriguing. This one is in the exhibit in the city hall of Augsburg about the town's partner cities.